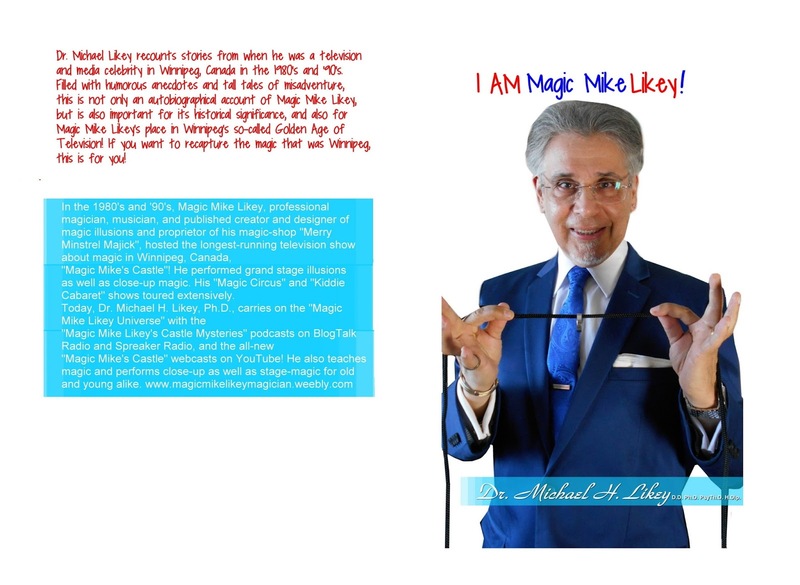 Magic Mike Likey: Excerpt From "I AM Magic Mike Likey!" An excerpt from "I AM Magic Mike Likey!" There are therefore tricks/illusions for lay-people, and tricks/illusions aimed at magicians. (I mean those who are more experienced and have seen it all and know all of the methods) In some instances, some tricks will overlap, and actually fool magicians; often times, these tricks can be tedious and boring, filled with complex and time-consuming sleight-of-hand, when a trick deck or gimmicked coin might have made the trick more visual, snappy, and interesting for the spectator, also allowing the magician leeway to relax, improvise his presentation and most importantly, ENTERTAIN, which as far as I'm concerned is the main reason for doing magic! I would much rather have my audience first be entertained, (laugh, for example) and secondly be fooled while I'm at it. When I moved to Winnipeg in 1981 from Toronto, I inadvertently (due to my own lack of experience in the magic world) upset the experienced magicians. First, I charged an outrageously low fee for my shows, (which I felt justified at doing due to my lack of confidence and experience) and secondly because I by-passed a lot of difficult sleight-of-hand in favor of entertaining my audience; this wasn't because I couldn't do intricate sleight-of-hand, (I was very adept at coins and cards) but because I would much rather have, say, showed a deck of cards as appearing normal, then all blank, then all normal again, focusing on presentation. A sleight-of-hand-artist would have done all sorts of less-convincing and intricate moves to accomplish this, so focused on the sleights, that perhaps the presentation or patter might have suffered. Believe me, I saw plenty of this at the magic-clubs, and it just plain hurt to see all the knuckle-busting moves performed by the well-intentioned locals to accomplish the simplest of magical effects. I make no excuses for my methodologies, which made me the busiest and most commercial magician at the time, working at many bars and restaurants, and eventually corporate, private, and public events, malls, and fairs, not to forget birthday parties. I was having the greatest time, focusing on my personality and entertaining my audience first, and the tricks secondly, which apparently made for a successful formula. My audiences would laugh, and scream with delight AND amazement, which is exactly what I wanted, and still, hopefully, accomplish. I'm not bashing the "finger-flingers" here, merely pointing out my personal opinions and experience. There are amazing magicians out there who mainly use sleight-of-hand in their act, (usually to musical accompaniment) of which I still have the pleasure and honor of enjoying, but the methods are just not for me. I guess you can categorize me as a "Comedy Magician", if I must be stereotyped. Nonetheless, there is a reason why I've shared this with you, and it's because in a couple of weeks I have what's known professionally as a "close-up gig", that is, I'll be "table-hopping", going table-to-table for a major corporate family restaurant doing my thing. It brought me back to my first regular restaurant gig doing magic at "September's" and also "Gabby's" in Winnipeg. How excited I was, pockets loaded up with sponge-balls, carting around a cutlery box filled with my close-up miracles, soft red velveteen working surface on top of it, and I intrusively placing this gaudily-painted box on top of the customers' tables; my enthusiasm obviously made them forget that they never asked that I come to their table, nor that the amount of room left for their meal was greatly diminished, but again, my enthusiasm must have blinded them; either that, or they were really nice, patient people! Thirty-five years later, it will be myself, pockets and case (on the floor, out of their way) loaded up with the same tricks! 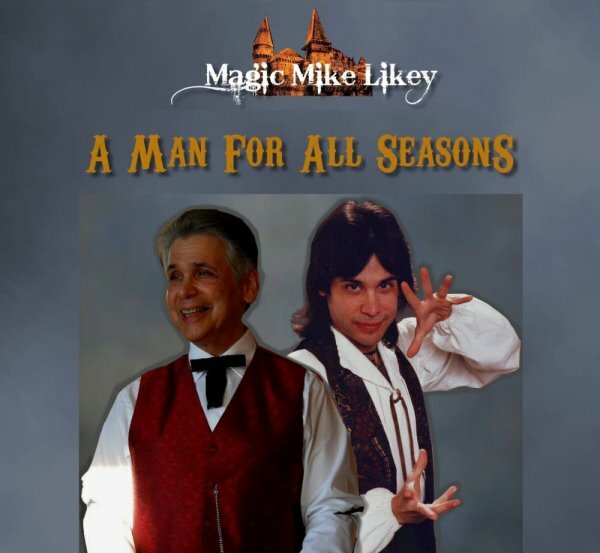 This amazes me, because I've gone through hundreds of thousands of newer, more amazing close-up magic tricks, learned so many more sleights, and studied and practiced so many more tricks, many of which have made it into my stage show; but why not my close-up magic-show? To be frank, some newer ones have made the cut, and will be included, possibly a plastic spoon that twists itself out of shape that I give them to keep at the end of the routine, a coloring-page the size of a five-dollar bill that changes from a black-and-white line drawing to full-color, (this will take the place of the "bill-switch", where one denomination of bill visibly transforms into another denomination) and a few other ones; but the disappearing and appearing red silk hanky will still be present 35 years later, along with the cards that all go blank and normal again; heck, my "Clones" will make their appearance, (and disappearance) as well my Lucite "Hot Rod" will be present and many other what we call "chestnuts" in the world of magic! Why? Because my audience will be lay-people, not magicians. Why? Because these tricks are easy, they amaze, and they still ENTERTAIN.